Versatile and efficient, a good food processor will likely become indispensable in the kitchen. It can be used to shred cheese, make biscuit dough, puree baby food, grind spices, and chop up salsa ingredients. But before you head to the store, consider these factors to ensure you select the best food processor for your needs. Most food processors only have one motor speed, and most have a small tube opening at the top that enables you to easily add other ingredients. They usually come with a "pusher" that fits into this tube and helps to feed larger items, keeps fingers safe, and acts as a lid. Make sure the machine you choose has a "pulse" button to give small bursts of power (good for rough chopping or quick dough kneading). You'll appreciate a smooth touchpad for the controls, which is easier to clean than raised buttons, as well as dishwasher-safe parts (although we recommend hand-washing blades to keep them from dulling). Make sure the machine you choose is powerful enough to handle the tough jobs: kneading stiff doughs, chopping raw carrots, or shredding a hard cheese, for example. Otherwise, you run the risk of the processor not chopping or combining uniformly. Or worse yet, the motor burns out. For a full-sized processor (9 cups or larger), seek out a motor that's at least 600 watts. Food processors come in all sizes, from tiny 3-cup choppers to 20-cup versions that could function in a restaurant kitchen. What size is best for you depends on the number of people you typically cook for and the recipes you'll prepare with it. If you're usually cooking for a family of four or preparing single-batch doughs, an 11-cup size processor should suffice. 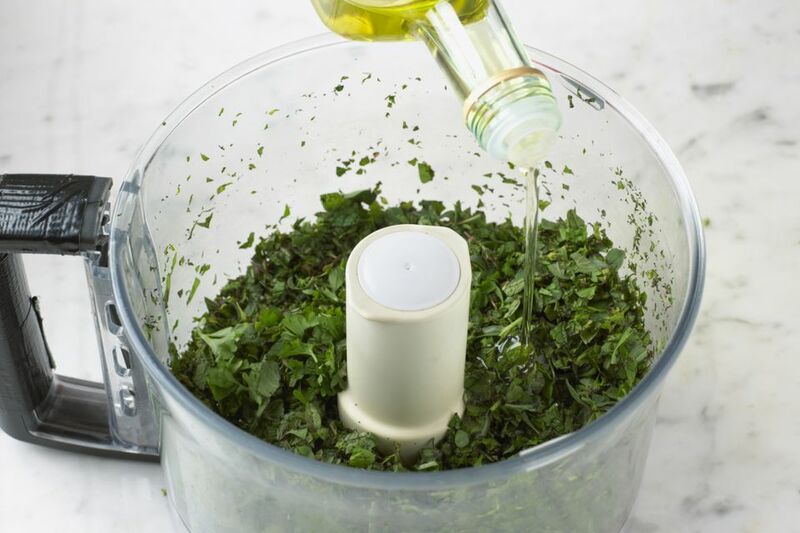 If you're often chopping small amounts of herbs or nuts, or making small quantities of sauces, seek out a processor that includes a small work bowl and blade, or invest in a separate 3-cup "prep" processor for these tasks. Some food processors come with an entire assortment of accessories intended to maximize your use of the machine. These can include different sized work bowls and blades, disks that slice and grate foods to varying degrees of thickness, and even attachments and speed settings that turn the processor into a citrus juicer or a bread dough kneader. Before you spend the extra money on a machine with all these bells and whistles, consider whether you'd actually use them. The two leaders in the food processor category are Cuisinart and KitchenAid, and their products consistently rank highest in test-kitchen and consumer ratings. They're also among the most expensive; 11-cup and larger versions from these two brands will set you back $130 or more. Other brands include Hamilton Beach and Black & Decker, whose products start at $50. While these secondary brands might offer some interesting features and accessories, often their motors aren't as powerful. But ultimately, the decision comes down to your own personal preference, as well as your budget. Do Food Processor or Blender Blades Need to Be Replaced?